With the findings in quantum physics in recent years, that “mental chemistry” isn’t so strange anymore. It is indeed powerful though. Quantum physics is the study of how the very small world, one we cannot see with our eyes, operates. Newtonian physics, dealing with gravity and things like that, gives us the laws for how things work in the world that we can see. On the quantum level, dealing with things smaller than an atom, there are a completely different set of rules. We live in both of these worlds, the seen and the unseen, at the same time. But most of us don’t understand the world of the unseen and the laws that govern it. In the seen world, no two things can occupy the same space at the same time. But in the unseen world, one thing can exist in an infinite number of places at the same time. In the unseen world, time and space do not exist. Both of these worlds are very real halves of the one Universe. The Universe is all one “thing”. There is only one thing in existence. Everything that we think we can see and give a name to is just configurations of energy within the one Universe, like ripples or waves of water in the ocean. We live in a big soup of Energy. 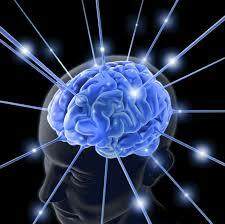 Our brains are able to transmit and receive energy. In fact, we are transmitting and receiving every second of our lives, whether we realize it or not. Our thoughts are like magnets. When we hold a thought in our minds, it creates a quantum wave function (qwiff, for short) that goes out into the Universe, penetrates and permeates all space and time, and brings to us everything that’s a vibrational match for the thought we’re holding. This is the science behind what is referred to as the Law of Attraction. I want to stress how very real this is. Scientists used to think that our brains functioned like computers, the regular kind that we use like desktops or laptops. Very simply put, computers use algorithms to solve specific problems and perform specific functions. Although they function very quickly (hopefully), computers cannot solve more than one problem or perform more than one specific function at a time. Science has recently shown that the human brain is more like a quantum computer. We don’t process things in a sequential, or step-by-step, manner. As human beings, we function in both the seen world and the unseen world. We are part Mind and part Matter; our Minds function on the quantum side and our Matter (bodies) functions on the mechanical side. Using the Law of Attraction is about learning how to use our quantum brains to produce the material reality that we choose to experience. Again, our thoughts go out into the quantum universe as waves, or qwiffs, and they cohere (stick) to other waves of energy that match the quality of the thought. If a thought is held in the mind long enough then it will attract and stick to enough waves of energy on the quantum level to produce a new experience in our lives on the material level. This is the primary reason why rich people generally stay rich and poor people generally stay poor. If you grow up thinking of yourself as the kind of person who has material wealth then that thought will attract material wealth to you. The opposite is also true. It is very difficult for a person who has never experienced material wealth to convince their subconscious mind to accept the belief that “I am the kind of person who is supposed to be wealthy”. More often than not, poor people have a constant chatter in their subconscious minds that reinforces how much money they don’t have and never will have. The Tree of Life illustrates the way to break that cycle and attract a new way of life. In order to affect any kind of change in your life, you first have to WANT it, you have to desire it. This is the function of our Heru faculty, developing our desires. For the sake of illustration we’ll use the example that a person desires to have a million dollars. After developing that desire, it must be placed into its resting place, Het-Heru (the imagination), where it can be gestated like a baby in the womb. The imagination feeds the desire and makes it powerful enough to go out into the Universe and bring back its matching reality. The thing that the imagination feeds the desire with is emotion. It is emotion that increases the attracting power of the thought. And it works whether the emotion is positive or negative. If you hold the desire for a million dollars in your imagination and you feed it with the feeling of “I don’t have a million dollars. I’ll never have a million dollars. I don’t deserve a million dollars. I’m not the kind of person who gets a million dollars. I still want it though…” then you will increase the magnetism of the desire but when it goes out into the Universe it will REPEL your million dollars. It will do everything possible to make sure that a million dollars does not come into your life. However, if you feed the desire for a million dollars with the feeling of “I love my million dollars. It feels sooo good to have a million dollars. It is already mine. It is already on its way to me. I am the kind of person who gets millions of dollars…” then that thought will go out into the Universe charged to attract a million dollars at dizzying speeds. Because the brain is a quantum computer, it is capable of doing more than one thing at a time. That is why most people who believe that they desire to become rich never actually get there. Because their desire for wealth is being fed sometimes by good feelings about wealth but then there are other/most times when the desire is being fed by feelings of self-doubt and pity. So they’re attracting and repelling the million dollars at the same time. We see this all the time. The person might attract a wonderful money making opportunity that goes great at first and then it fizzles out all of a sudden. They might actually win the lottery, and then blow all of the money before they even get a chance to enjoy it. They might get the job they’ve been dreaming about for years and then get laid off a few months later. This is how these confused desires manifest into our lives. One of the key components to successfully use the Law of Attraction is to diligently monitor our thoughts and be constantly, incessantly feeding our minds with messages that reinforce our desire. It also requires removing yourself from naysayers and negative people who seek to kill your dreams. After feeding your desire from Heru with your imagination/Het-Heru then you must use your Sebek faculty to come up with a plan of how to achieve the million dollars. However, this doesn’t have to be an MBA level business plan. All that is required is actually DOING whatever it is that brings you JOY, while holding and feeding the desire for a million dollars with positive feelings. Whether you find joy in painting, fixing cars, running track, practicing medicine, whatever it is, you have to find a way to do it and not just dream about doing it. If you properly feed your desire for a million dollars while following your passion then your heart will figure out the details of the plan for you. The things that continue to make you feel good will be exactly the things that you need to do to get the million dollars. The reason this is so is because there are other laws at work in manifesting success besides just the Law of Attraction. I don’t have space to delve into that right now but I will at a later time. The thing that separates Doers from Dreamers is belief in self. As stated earlier, beliefs are part of what Sebek deals with. There are plenty of people who dream of being professional singers. It seems like every other show on TV these days is a competition for people who want to sing and they go through thousands of aspirants every year in order to find the cast for their shows. The people who go beyond dreaming about singing and actually do it are those who truly believe in their heart of hearts that they are supposed to be singers. They don’t entertain any doubts about whether they’re good enough or if they should just pursue a “real job”. Their firm belief in who they are automatically translates into a plan of action. They see the flyer for the open mic and they don’t just notice it, they go and they do well. They don’t just listen to other singers for the beauty of the songs; they study successful singers as templates of how to achieve the dream. The belief produces a plan. The cumulative effect of desire fed by the imagination and strengthened by belief is a personality (energy broadcast) that matches the desire. When people encounter you following your passion, you stand out. There’s “something” about you. They recognize that you are the kind of person who is SUPPOSED to be making millions of dollars for doing this thing, whatever your thing is. That energy broadcast forces people to believe in you and start to support and feed your desire with their time and energy and money. They can’t just let you fix their car and then go on about their way. They feel compelled to introduce you to their rich associate who wants to start a business restoring classic cars. They can’t just pay you the standard $10 for painting their picture at the fair. They feel compelled to introduce you to their associate who chooses artists to exhibit at the art gallery. Your energy reaches out and touches them in a way that makes them want you to have a million dollars just like you want it. Walking through life with this energy broadcast produced by the desire and belief that you should receive a million dollars for pursuing your passion will soon manifest itself in the form of a million dollars. And the wonderful part about it is that you can do this even if you’ve never heard of the Law of Attraction. This is the process that every successful person who ever lived has used to attain their success, no matter how they stumbled upon the formula. And it is never too late to start using it. As long as you have a brain then you can use the power of thought to manifest your desires, no matter what it is. The Universe doesn’t recognize the impossible. The laws of quantum physics are laws that work all the time, every time, just like gravity and inertia. If you hold a thought in the imagination and feed it with the right emotions and beliefs then that thought absolutely must go out into the Universe and bring back to you the material reality that matches your thought. Try it, you’ll like it.